When Congress passed the Organic Foods Production Act of 1990 (OFPA), they created a unique and powerful citizen advisory panel, with statutory authority, to assist the Secretary of Agriculture in implementing the act. The independent National Organic Standards Board (NOSB) was a key component of OFPA when it passed Congress. 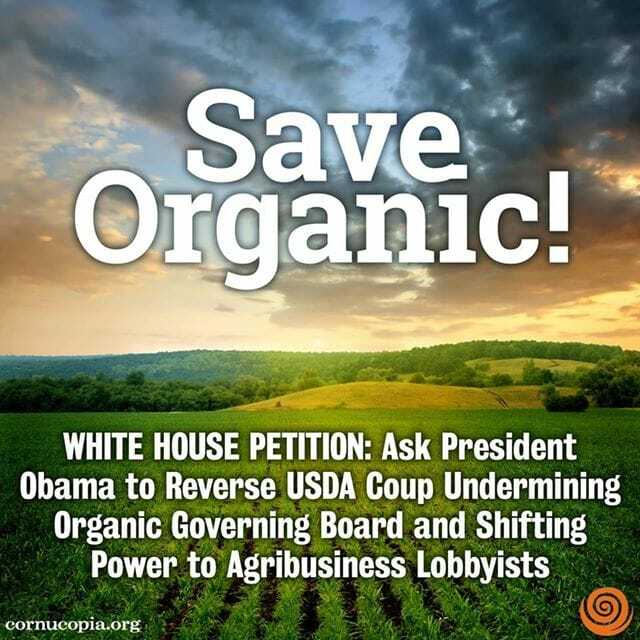 Without its creation as a buffer between corporate lobbyists and an industry-friendly USDA (the agency testified against the organic legislation before its passage), it is unlikely that OFPA would have received the requisite support in the organic farming community. Now the independence and power of the 15-member NOSB – composed of farmers, environmentalists, public interest groups, food processors, a scientist, a retailer and a certifier – is being seriously undermined. Last fall the USDA, in its most unapologetic and undemocratic power grab to date, broke with 15 years of precedent in stripping the NOSB of much of its authority and power. to President Obama and USDA Secretary Vilsack. The USDA’s power grab includes a critical change to the legally mandated sunset review process for synthetic and non-organic materials approved for use in organic production. These materials receive temporary (five-year) approval for use until organic alternatives are developed, hence the term “sunset.” The USDA’s revision makes removal of the synthetics highly improbable (even if they are found to be a threat to human health or the environment), and dulls incentives for developing organic alternatives. Key congressional sponsors of the original organic legislation (Senator Patrick Leahy of Vermont and representative Peter DeFazio of Oregon) have expressed their strong objection to the new policies as have several highly respected former chairs of the NOSB. The USDA has also removed the ability of the NOSB to set their own work plan and agenda as well as effectively conducting their own meetings. The USDA now even claims the power to co-chair NOSB meetings. Additionally, the Ag Secretary has made legally questionable appointments stacking the NOSB with corporate agribusiness employees who do not meet the criteria established by Congress. 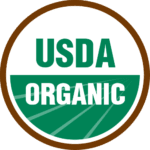 All of these crass and possibly illegal acts by the USDA have the potential to undermine consumer confidence in the certified organic label. Indeed, over the past two presidential administrations, the board has adopted a number of policies favorable towards powerful agribusiness interests and failed to address practices that threaten organic integrity. Previous research from The Cornucopia Institute has documented how powerful corporate interests, including the industry lobby group the Organic Trade Association (OTA), have been gaming the system for years with the help of a friendly USDA. But in the past few years, farmers, consumers and groups like Cornucopia have stood up and begun challenging industry proposals pushing increased use of gimmicky synthetics and suspect nutraceuticals in organic food. We have been successful in blocking a number of the industry-backed schemes. In fact, we have been so successful that corporate interests and their minions at the USDA have now decided they need to change the rules in the middle of the game. The future of organic food and agriculture is at a crossroads. Consumers are increasingly hungry for healthy, nutrient-dense food produced in a sustainable manner and believe that the farmers growing the food should be able to earn a real living wage. Farmers and consumers must again stand together and forcefully request that President Obama step in and force the USDA to back off their power grab and return to the NOSB its rightful powers and authority. Join with us and sign the petition to President Obama and USDA Secretary Vilsack. Help save the bright future of organic food and agriculture.